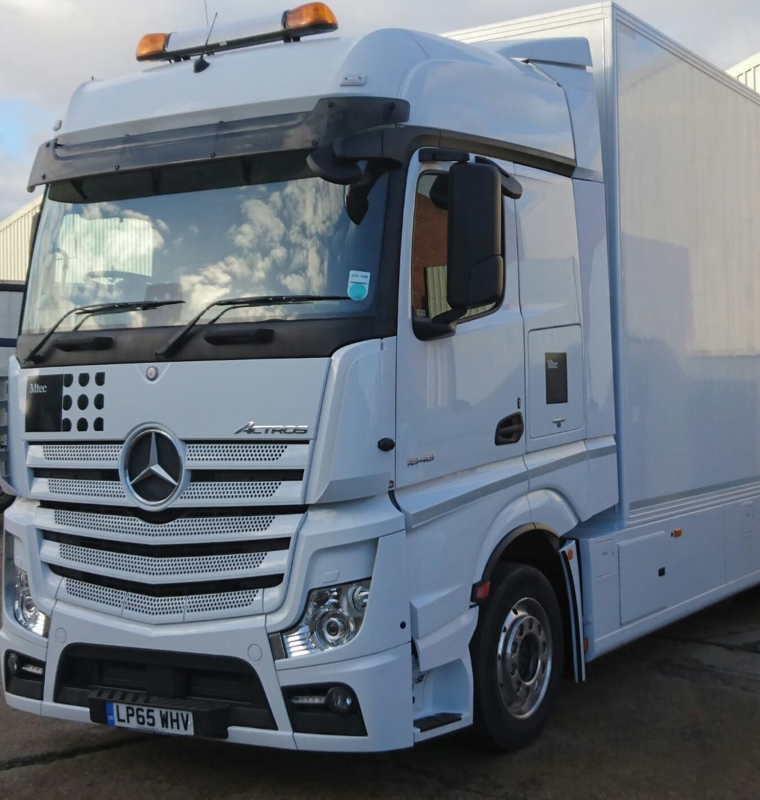 This month saw the addition of another Mercedes-Benz Actros to our large and versatile fleet. This extremely green asset, to our already environmentally clean inventory of vehicles, means that we are now 99% EURO 6 according to European emission standards and are committed to being one of the “Greenest” fleets of vehicles in London. The latest Actros truck is slightly smaller than our other model, giving us greater manoeuvrability around the city streets. 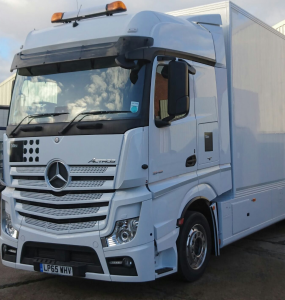 The vehicle has an internal length of 9m, width of 2.4m and internal height of 3m, with a 3Tonne tail lift and the capacity to have a courier seat in the cab. As with all of our fleet, it has built in tracker so we can monitor locations at all time for security and keep our clients aware of their cargos progress. Meet one of our Brand New vehicles, not only does it have a state of the Art Crane with 23 meter reach, the engine it is EURO VI Low emissions compliant. At Mtec we’ve always paid close attention to improving our Carbon Footprint wherever possible, as an early adopter of EURO VI Low emission vehicles in 2013, Mtec is well placed for the future with the first of four new vehicles arriving in the fleet this year at EURO VI bringing our total count of environmental vehicles to 14. 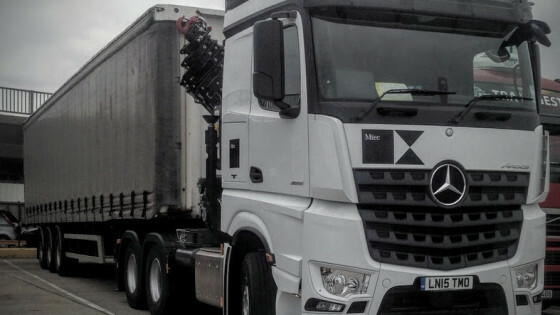 All of Mtec’s new Vehicles are CLOCS compliant with Left Turn warning systems and rear view side camera’s to protect growing platoons of London Cyclists on busy City Streets. We hope to continue to reduce Mtec’s footprint and keep working towards a fleet that is both meaner and greener.